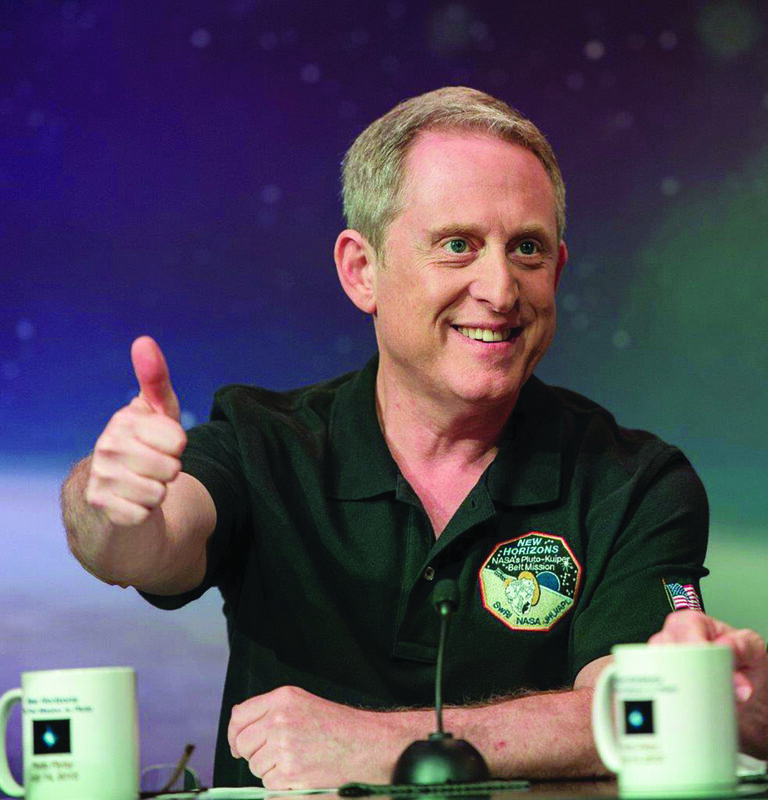 April 21, 2016 – TIME has named Dr. Alan Stern one of the 100 most influential people of the year. Stern, associate vice president of the Space Science and Engineering Division at Southwest Research Institute (SwRI), serves as principal investigator of NASA’s New Horizons mission, which made headlines worldwide when the spacecraft returned remarkable imagery of the Pluto system in July 2015 — the first high-resolution images ever taken of the icy planet and its moons. Stern was previously named to the TIME 100 in 2007 after taking over as administrator of NASA’s Science Mission Directorate. Stern and the New Horizons team have been honored multiple times over the past few months. Aviation Week & Space Technology bestowed the team its 2016 Laureate Award for space exploration. The American Astronomical Society presented its Neil Armstrong Space Flight Achievement Award; AAS separately awarded Stern its Carl Sagan Memorial Award. The NASA mission also was named among the top science news stories of 2015 by Discover Magazine and Science News. In total, the team has received more than two dozen awards. The Pluto flyby culminated July 14, 2015, when the spacecraft came to within 8,500 miles of the planet. Onboard instruments collected historic images and science measurements, with additional image and science returns expected over the next few months. The New Horizons team also hopes to extend the mission into the Kuiper Belt, an area of icy objects at the far reaches of the solar system. Pending funding approval from NASA, the spacecraft would travel nearly 1 billion miles beyond Pluto to fly by a Kuiper Belt object known as 2014 MU69. The TIME100 is a list of the world’s most influential men and women of the past year. Others on the 2016 list include Pope Francis, singer Adele, German Chancellor Angela Merkel, actor Idris Elba, basketball player Stephen Curry, and philanthropists Priscilla Chan and Mark Zuckerberg. The list, now in its thirteenth year, recognizes the activism, innovation, and achievement of the world’s most influential individuals. The full list and related tributes appear in the May 2 issue of TIME, available on newsstands Friday, April 22, and now at http://time.com/collection/2016-time-100/.